We kindly remind that the maximum number of pages including tables and figures, is 12 for full oral presentation papers and 2 for posters. Authors should ensure that their papers are printable on a standard printer. Charts and graphs should not rely on color for clear interpretation since printing will be black and white only. Do not separate paragraphs with empty lines. The first paragraph of a section or subsection is to be indented; the next ones should not be. This is an example of the first paragraph in a section or subsection. You can notice that this kind of paragraph has been indented with a tabulation (Tab) character. This is an example of the second or more paragraph in a section or subsection. Page numbers: Please do not add page numbers to this style; page numbers will be added by the Editoral Committee of the Proceedings. Page headings: Do not add headings to your document. where the equality (a) results from the fact that both d and e are positive while (b) comes from the definition of f.
Authors should follow the format of this text. Paper length is limited to 12 pages (including all figures, tables, and bibliography). Paper should be formatted for A4 paper. All material on each page should fit within a rectangle of 24.75 x 16 cm. centred on the page. Top, bottom and side margins should be 2.5 cm. The font to be used is a Times New Roman font type with a font size of 10 points (single line shifts) in order to make as much room available as possible within the page limit. Paper style should as far as possible follow the forms given in the Publication Manual of the American Psychological Association (5th ed., 2001). In general, the background and purpose of the study should be stated first, followed by details of the methods, materials, procedures, and equipment used. Findings, discussion and conclusions should follow in that order. Appendices may be employed where appropriate. The APA Publication Manual should be consulted for details as needed.www.apastyle.org. The first page must contain the title of the paper (14 point type, centred, Times Roman font) and only for accepted contributions the authors’ names (12 point), affiliations, mailing addresses, and email addresses (all in 10-point), centred in one column at the top of the page. This should follow a 100 words abstract in 10 pt size. If notes are needed they should be given as endnotes. Right margins should be justified, not ragged. Figures and tables if needed to a maximum width of 15.5 cm. Figures, e.g., a diagram, must be entered as a pure ‘image’ using the Word ‘Insert special’ option in the ‘Editing’ menu. The image should be fixed in relation to the text body by using the ‘Image’ option in the ‘Format’ menu. From the ‘Image’ option one selects the ‘Layout’ entry, followed by the ‘In-line-with-text’ option and carriage return. Table 1. Table captions should be centred and placed above the table (blank line before and after). Sections should not be numbered. First level section headings should be in 10-point Times New Roman, bold face with subsections in 10-point italic Times New Roman. A blank 10-point line should precede each section heading. Do not include page numbers, headers or footers. These will be added when the proceedings is assembled. Figure 1: Figure captions should be centred and placed below the figure (blank line before and after). Tables and figures should be incorporated in the text as close to the reference as possible and should be in a form suitable for publication when printed with a good quality laser printer. Figures will be printed in black and white and should be readily interpreted without the use of colour. Captions should be Times New Roman 10-point, centered with a blank line before and after the caption. Tables and figures should be sequentially numbered in separate series. Captions for tables should be above the table. Captions for figures should be below the figure. The accuracy and completeness of the references is the responsibility of the author. References to personal letters, paper presented at meetings, and other unpublished material may be included. The format for citations in text for bibliographic references follows the Publication Manual of the American Psychological Association (5th ed., 2001). Citation of an author's work in the text should follow the author-date method of citation; the surname of the author(s), maximum three, and the year of publication should appear in text. For example, “Smith (1999) found that…”; “other researchers (Black, Duck & Tan, 2000) …”. Formats for citation of electronic references are given on the APA web site: http://www.apastyle.org/elecref.html. References in 10-point type should be listed alphabetically at the end of the paper using an unnumbered style with a hanging indentation of 0.35 cm (see below). Use numbering for references in the text as - for example, Haykin  has shown that neural networks are wonderful tools for adaptive filtering. Achievements of women scientists and technologists. In Technical session I – Conference of Women Scientists and Technologists : Role in national development, Organised by Indian Women Association 8-10 March, 2004. Bal V. Gendered Science. Economic and Political Weekly, 37, 5163, 2002. F. Vrins, C. Archambeau and M. Verleysen, Towards a local separation performances estimator using common ICA contrast functions? In : M. Verleysen, Ed., Proceedings of the 12th European Symposium on Artificial Neural Networks (COLLNET 2004), (D­side Pub)., p 211, April 28­-30, Bruges (Belgium), 2004. Indian National Science Academy. Science Career for Indian Women - An Examination of Indian women’s access to and retention in scientific careers: A Report. INSA, New Delhi, 2004. J. V. Stone and J. Porrill, Undercomplete independent component analysis for signal separation and dimension reduction. Technical Report, Psychology Department, Shefield University, Shefield, S10 2UR, England, October 1997. N. Delfosse and P. Loubaton, Adaptibe blind separation of sources: A deflation approach, Signal Processing, 45:59­83, 1995. S. Cruces, A. Cichocki and S. Amari, The minimum entropy and cumulants based contrast functions for blind source extraction. In J. Mira and A. Prieto, Eds, Proceedings of the 6th International Workshop on Artificial Neural Networks (IWANN 2001), Lecture Notes in Computer Science 2085, p 786, (Springer­Verlag), 2001. S. Haykin, Ed. Unsupervised Adaptive Filtering vol.1 : Blind Source Separation, (John Willey & Sons, New York), 2000. University Grants Commission. University development in India – basic facts band figures on institutions of higher education, students enrolment, teaching staff. 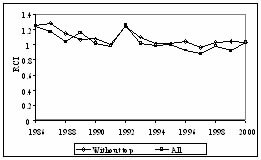 Report, University Grants Commission (Information & Statistics Bureau, New Delhi), 1995-96 to 2000-2001.